Pastor Darold & RichaLee have been married for 29 years and have raised two wonderful boys. In 1986 Pastor had everything he ever wanted; a wife, twin boys, a great job as a firefighter, two rapidly growing businesses on the side and a world of possibilities before him. But it was then, in the midst of all his success, that God spoke to his heart something that he ran from long ago. God was calling him to be a Pastor. While working as a firefighter Pastor had time to complete his Berean classes, gaining his Christian Workers Certificate in 1987. Pastor & RichaLee served as youth pastors for the next 6 years. He then went on to gain his ordination with the Assemblies of God and served as the senior pastor at New Hope in Leavenworth, KS for the following 18 years. 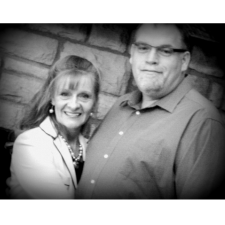 In May of 2010 they took a step of faith and resigned from New Hope due to a strong calling on their hearts from God telling them to return to a familiar territory, Shawnee, KS. God has now blessed the church with a new building in Kansas City, KS. Pastor and RichaLee are excited to make an impact and new relationships with those in the community. Through God stirring their hearts, Michael and his wife Sarah were lead to join CrossWind in 2011, where Michael serves as the Relational Pastor. 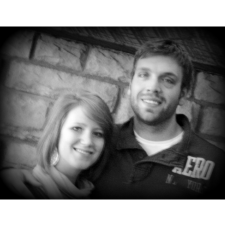 Previously, Michael served as Associate/Worship Pastor for 6 years and as Youth Pastor for 1 year in Leavenworth, KS. Michael has a true passion and gifting for people and relationships. He and his wife desire to form engaging, transparent and authentic relationships with others and to be used as God&apos;s instruments in seeing people&apos;s lives drastically changed by Jesus. Michael also desires to use his giftings as a Licensed Professional Counselor and Life Coach. They are eager to see the movement of the Holy Spirit in the community and to be used as servant&apos;s of God!